The Nsukka Catholic Diocese has confirmed the death of a student, allegedly electrocuted on Thursday night at the Queen of Rosary Secondary School, Nsukka, Enugu state. The Diocesan Director of Communications, Rev.- Fr. 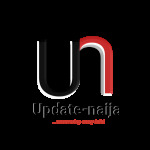 Matthew Eze, confirmed the incident to the News Agency of Nigeria (NAN) in Nsukka on Friday. Eze, who described the death of the student as shocking, prayed for the eternal repose of her soul. He also prayed to God to give the bereaved family and friends, students, management and staff of the school the fortitude to bear the death. The school is owned and run by the Nsukka Catholic Diocese. An eyewitness account said that the JSS2 student, identified as Maureen Amadi, was electrocuted around 9.30 pm outside her hostel. She was said to have come out of her hostel to pick her clothes inside during a heavy downpour when the incident occurred. It was learnt that she got electrocuted when she allegedly had contact with a wire from an electric pole said to have been pulled down by a thunderstorm. “Everybody in the school has been in a mourning mood over the death of the girl last night,” the eyewitness said on the condition of anonymity. The Principal of the school, Rev.-Fr. Luke Eze, was said to have led a delegation of the school to Aku in Igboetiti Local Government Area (LGA) for the burial of the deceased, when NAN correspondent visited the school. When contacted, the Enugu State Police Public Relations Officer, Mr Ebere Amaraizu, said that the command had yet to receive the report. NAN reports that the thunderstorm also destroyed buildings and other property worth millions of naira in Nsukka town and its environs. The post SAD! A Student Electrocuted To Death During Rainstorm In Enugu appeared first on Naijaloaded | Nigeria's Most Visited Music & Entertainment Website.